Black nitrile gloves are one of the most preferred types of disposable gloves available. Before nitrile gloves became available, latex was always the popular option. However, the strength of the synthetic rubber material makes nitrile gloves safer for heavy duty job tasks. Nitrile can withstand harsh chemicals, punctures and caustic materials that could easily damage the skin or cause injury and illness. There are different nitrile glove options made available through Bulk Nitrile Gloves. We offer various sizes, colors and thickness levels. The thicker the nitrile glove, the stronger they are. 15mil is usually the thickest black nitrile glove you will find for sale online. 5mil is one of the thinnest level of thickness available for nitrile gloves. Many people find that 5mil nitrile gloves are best to use while performing basic cleaning, food preparation and other similar tasks. If you’re looking to replenish the supply of disposable gloves at your facility, consider ordering black 5mil nitrile gloves in bulk to receive wholesale pricing. Not only will you save money for purchasing gloves in bulk, but you’ll find it easier to stock up on this particular piece of safety gear. 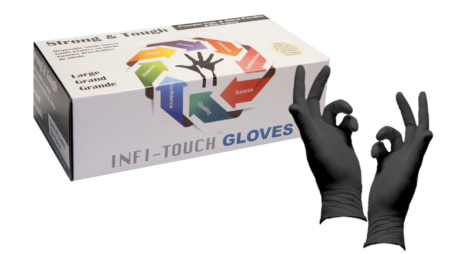 Ordering nitrile gloves by the case is the absolute greatest way to save money and relieve any worry you and other employees might have about running out during the workday. 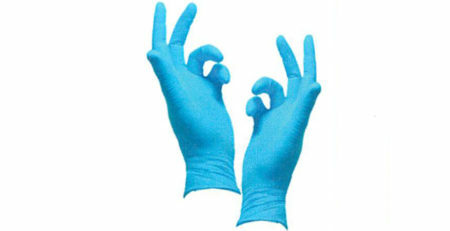 Visit Bulk Nitrile Gloves’ website and look through the nitrile gloves we have available in our shop.